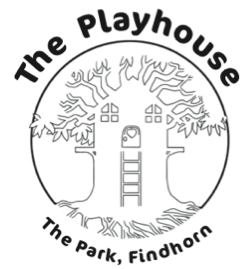 The Playhouse is a community building which hosts a variety of activities and sessions, focusing on families and children aged 0-6 years. At present the Steiner School runs a bi-weekly Parent & Toddler Group, community parents hold classes & sessions and families use the building & playground to meet & play! We also run the very successful “Woodland Camp” sessions in the holidays for 3-6 year olds, held entirely outside in nature.